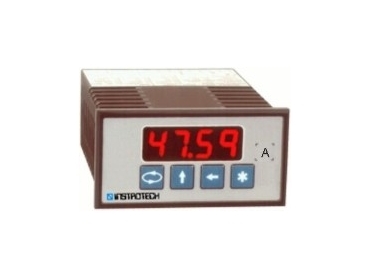 Instrotech Australia offers Model 4001 4-digit LED universal programmable process indicator designed for most process variables with analogue and digital inputs. This high accuracy, high-quality programmable process indicator is designed for accurate measurement and display of pressure, level, flow, frequency, DC voltages or currents, counting and speed. Options include linearisation, analogue or serial output and up to four alarm setpoints. The process indicator’s display and analogue output is rangeable from the front pushbuttons. Excitation is standard and link selectable for 2-wire or 3-wire transmitters, encoders and potentiometer input. The programmable process indicator meets CE and C-Tick EMC and EMI as well as Low Voltage directives.